The new B&O railroad underpass opens in 1948. Govenor W. Preston Lane cut the ribbon. 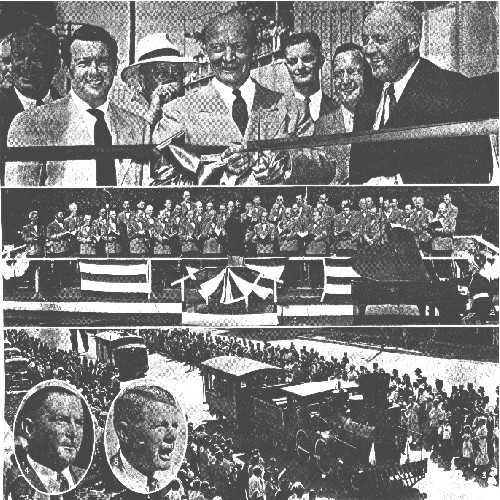 A parade followed the opening and the B&O Glee Club performed. The two men at the bottom are H. Stanley Stine (president of the Board of Education) and Col. E. Brooke Lee (vice chairman of the Maryland - National Capital Park and Planning Commission).